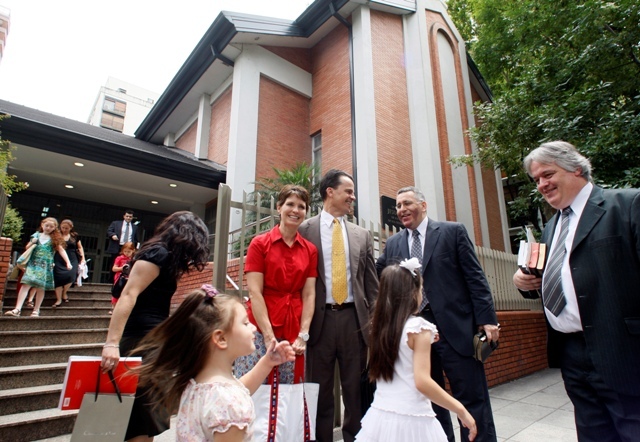 Ward: A Mormon congregation. Members are assigned a ward according to geographical boundaries, except in cases where there are special wards for young singles or those who speak a language other than the primary language of the country. Smaller congregations are called branches or units. Ward Choir: The choir for a Mormon congregation that performs for some church meetings and activities. Choir members do not wear robes and are not paid. 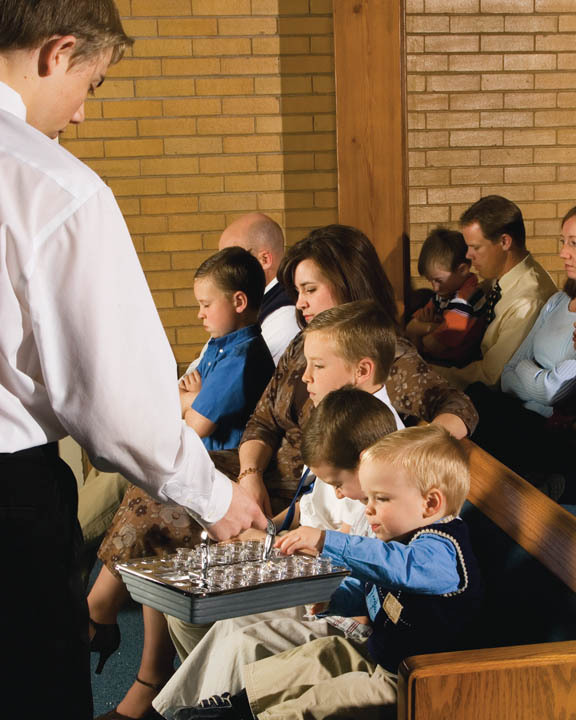 Ward Family: A term used for members of a Mormon congregation, which is known as a ward. It is a reminder that members should love and serve one another. Ward Missionary: A member of a congregation who serves as a missionary part-time, remaining at home and continuing regular employment and his usual lifestyle. They often work closely with newly baptized church members. Welfare: A program to provide temporary assistance to church members in need. This includes food, payment of utility bills, and other services. Service is paid for through donations from members who fast for two meals and donate the money saved to a special fund. Those assisted serve the church in exchange for what is received. Witnesses to the Book of Mormon: Joseph Smith was very much relieved, when the Lord allowed men to serve as witnesses to the Book of Mormon, because he no longer had to carry the burden of proof on his own shoulders. The testimonies of the three and the eight witnesses are recorded and printed at the front of the Book of Mormon. Word of Wisdom: A health code followed by Mormons. It prohibits alcohol, tobacco, tea, and coffee, and encourages the use of fruits, vegetables, and grains. It brings with it promises of health and wisdom. Worship: Worshipping God includes prayer, personal scripture study, pondering gospel truths, worshipping in the temple, attending church, and serving others. 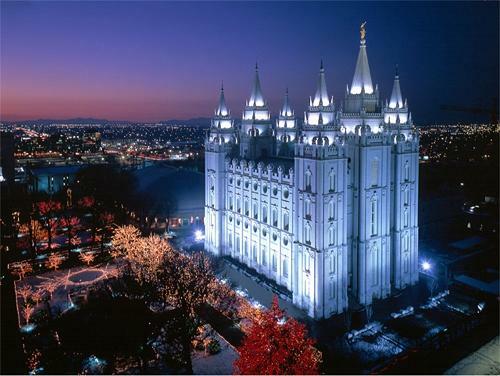 Worthy Member: A Mormon who is living worthy of a temple recommend, even if he doesn’t actually have one yet. This would include church attendance, keeping the Word of Wisdom, paying tithing, and serving in the Church, as well as living the essential commandments of God. Year’s Supply: A one year supply of food and commodities that can sustain life in the event of unemployment or other emergencies. Youth: Ages twelve to seventeen. The youth have their own Sunday School classes and youth programs that take place on Sundays and throughout the week. Young Men: Teenage boys ages twelve to seventeen. Also refers to their weeknight program which includes Boy Scouts and religious activities. Young Single Adults: Unmarried Mormons ages eighteen to thirty. Many areas have special activities and programs for them, and in some areas, often near a university, there are special congregations to meet their unique needs and to aid in meeting others. Young Women: Teenage girls ages twelve to seventeen. Also refers to their weeknight program of service and religious activities. Zion: Means “The Pure in Heart” and so refers to any person or group of people who are living in perfect harmony with the teachings of Christ. Often used to refer to Mormon congregations or stakes (similar to dioceses.) Geographically, it refers to several places: The City of Enoch in Biblical times, Jerusalem in ancient times, and Jackson County, Missouri in the future, where New Jerusalem will eventually be built.